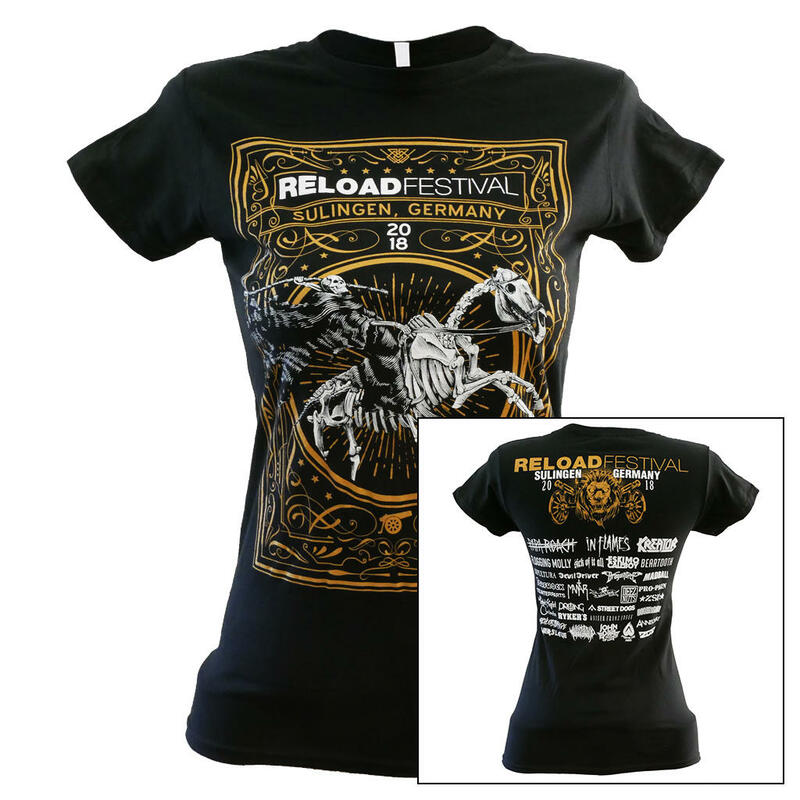 The last remaining Reload Festival 2018 Girlie Shirts "Ornaments" are now available in our shop. 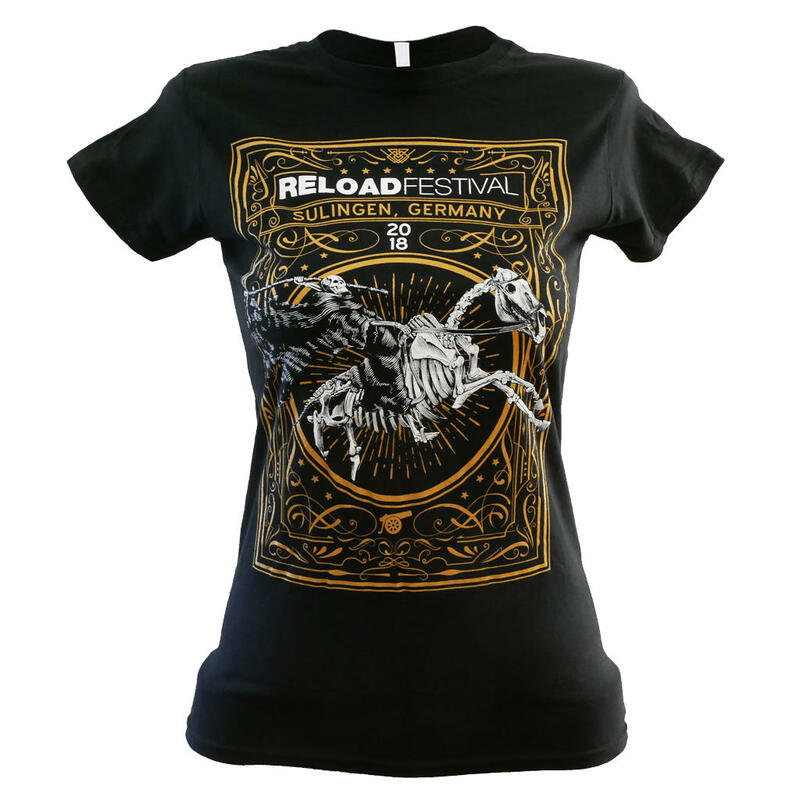 The extravagant and detailed print on the front makes the black shirt an absolute eyecatcher. 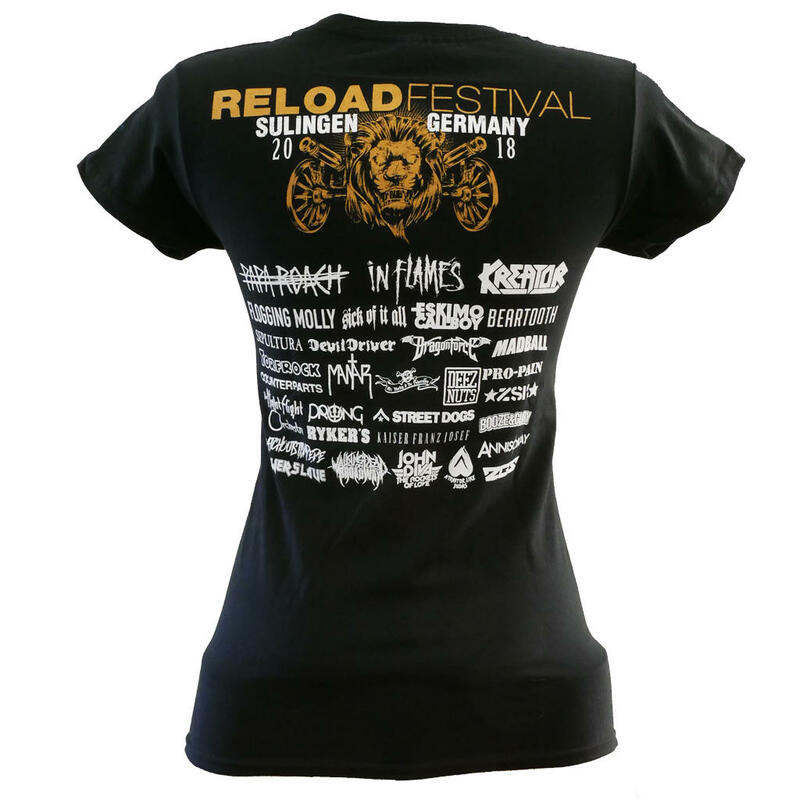 The back side is decorated with the Reload Festival logo as well as with the lineup.